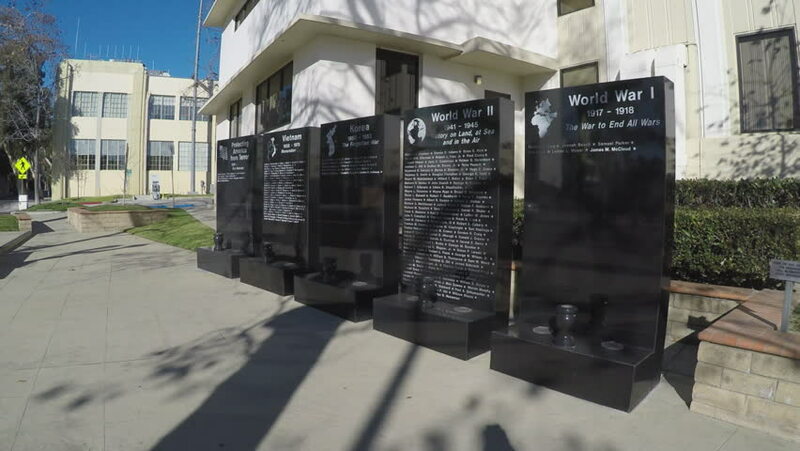 GLENDALE, CA/USA: February 21, 2016- A shot of war memorial remembrance walls. Monolith stones are engraved with the names of local residents that were killed or missing in battle. 4k00:241930s: Men secure gate of truck full of pigs. Men climb down and move ramp. Text reads "Ready for hams, pork chops and bacon." Truck drives away. 4k00:30Dolly shot of shanghai traffic moving slowly on the street under raised highway. Elevated freeway runs over cars and truck driving down the road during rush hour. Asian city multi level traffic.